Emirs Echo (Second Echo x Ecstasy (by *Aladdinn)) is a promising well-bred stallion that has accummulated many wins in halter as Class A level shows as well as Regional wins, including Region 6 Champion Stallion and Region 6 Reserve Champion Yearling Sweepstakes Colt. 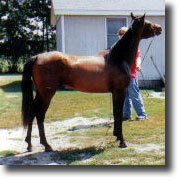 He has been shown in western performace and is showing tremendous potential as a Western Pleasure Horse, winning at many Class A Shows. While he only has a few foals on the ground, his prepotency is already evident in his foals. 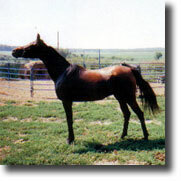 His son, Emirs Heartbreakid was shown twice this year, once at Sahara Sands where he won Reserve Junior Champion Colt and again at the NMAHA show where he won Reserve Champion Stallion AOTH. 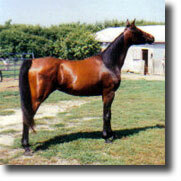 And his daughter Second Chance was Reserve Champion Dakota Classic Futurity Filly her first time out in the Show Ring. 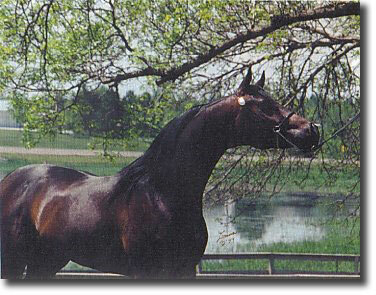 Heartbreakid is now in Training with Erik Haff at Lonsome Dove Training Center, Pequot Lakes Minnesota. 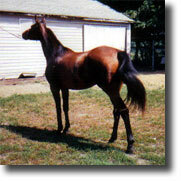 Second Chance is being bred to Affirmed for 2005.